I’m with you. But you’re going to want to come prepared. 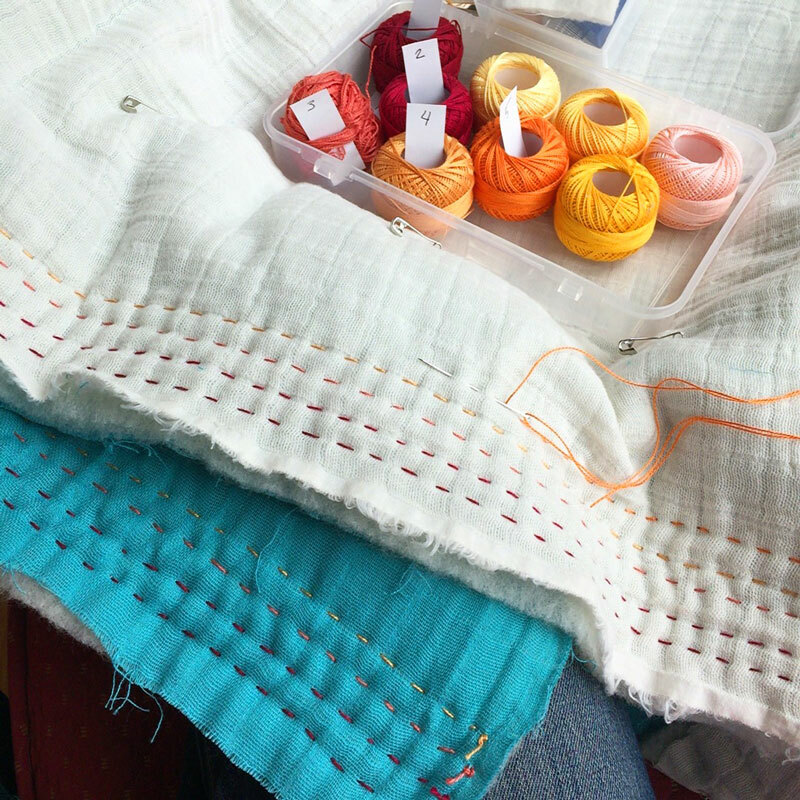 Browse this roadmap to double gauze sewing before you speed into your first project. You’ll be glad you did. Even though sewing, and quilting, with double gauze is a more recent trend, gauze has been around for. Ever. The name comes from Gaza, in Palestine, which was the center of weaving in the region. Originally, gauze was made of silk, and used for clothing. Now, a lot of people associate it with medical gauze, which is made of cotton, and used for dressing wounds and burns. Because gauze has an open, loose weave it’s perfect for healing. You know what else it’s perfect for? Doubling up for quilting. 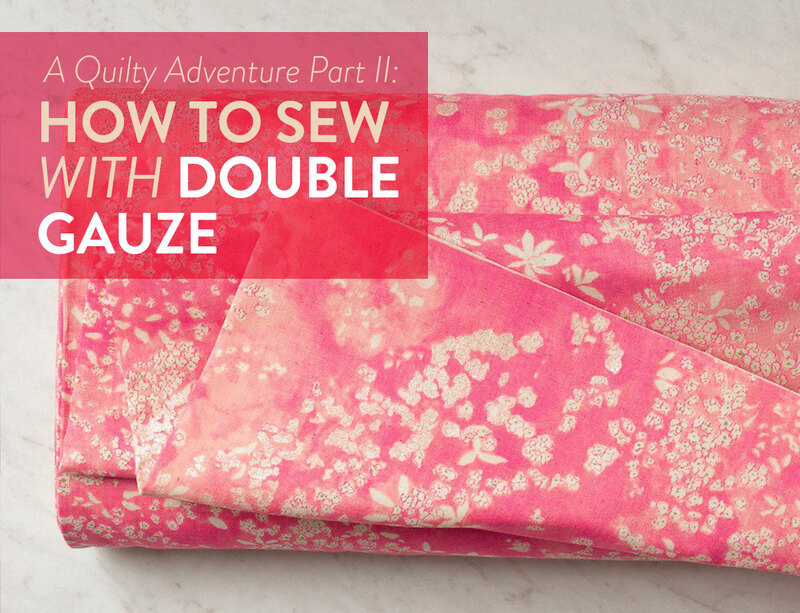 If you know your way around quilting cotton, you probably won’t get too thrown by double gauze. But just to be safe, let me tell you the best way to get from here to cozy quilt heaven. Gauze itself is pretty thin, and known for its open weave. Double gauze is exactly what it sound like: two layers of the fabric put together, which leaves it a little thicker than your typical cotton, but still nice and airy and breathable. It feels a lot like linen without the wrinkle issue, and it’s really simple and soft, kinda like the pajamas fabric you never knew you needed. 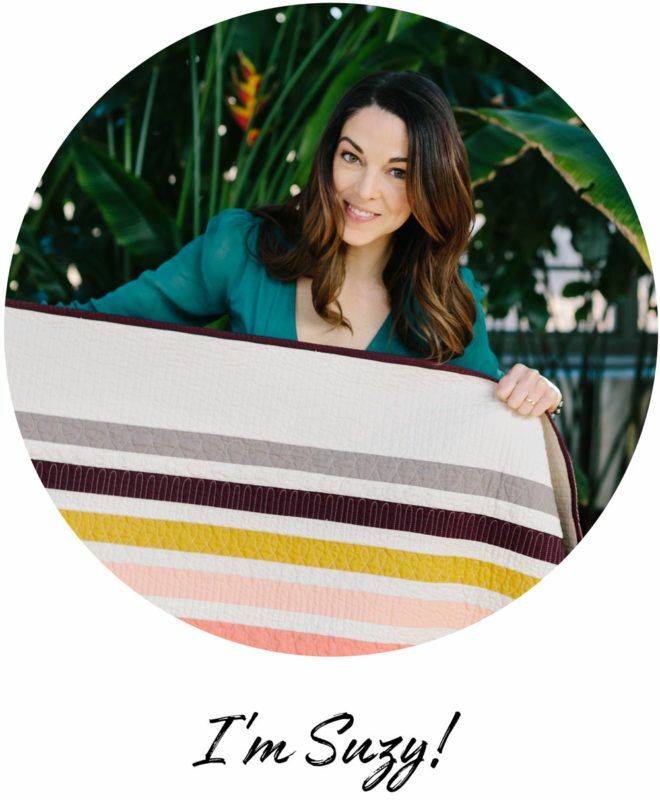 And for real, it’s a dream to quilt with. I know what just happened. 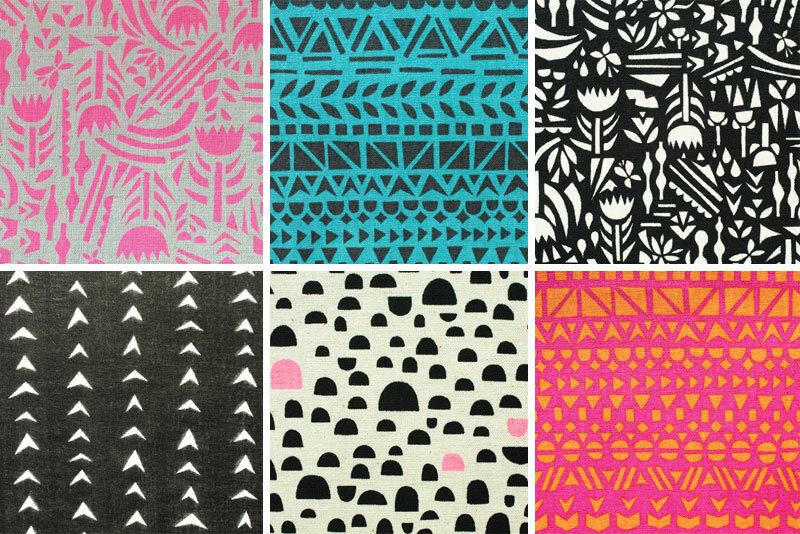 You looked at some gorgeous designs and you’re already at your sewing table. But hold up. Make sure you’re fully prepared for this journey. 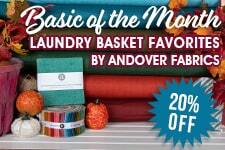 First, you know you’re working with cotton, so you know you want to pre-wash on low heat with some mild detergent. Dry on low heat for 5-10 minutes, and then lay flat until that stuff it totally dry. Now you’re in business. As far as gear goes, don’t stress too much. Standard needles work fine for double gauze, but use a new one if you’ve got one. If you do have a fine sewing needle (maybe size 80) this would be ideal. But the most important thing is that it’s super sharp. Threadwise, 50wt thread works best for double gauze, working well with it’s lightweight little self. Use a longer stitch than normal. This doesn’t matter quite as much as when you’re working with denim, for example, but double gauze is a completely different animal. Do your best to avoid ripping stitches. Duh. I know. But double gauze isn’t very forgiving with the whole stitch rip situation. It won’t be the end of the world, and your project won’t be destroyed, but this is one of those times that you want to really measure and mark before you start. 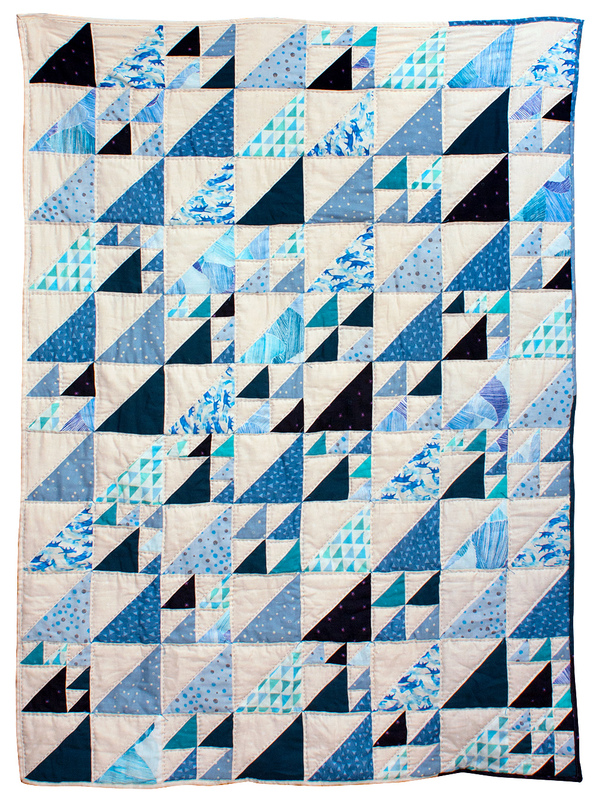 My heart beats for you, Iceberg quilt...I'm in love. 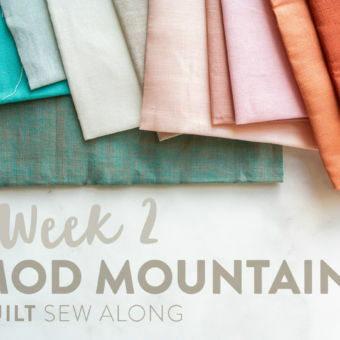 In multiple blog posts I have mentioned my slow evolution from exclusively using longarm quilters to learning about the speed of machine quilting and then slowing back down and finding a love of hand quilting (h﻿ere, here and a list of my supplies here). Oh my gosh, THIS. Guys, THIS! THIS double gauze whole cloth quilt is going to be my Christmas holiday project. 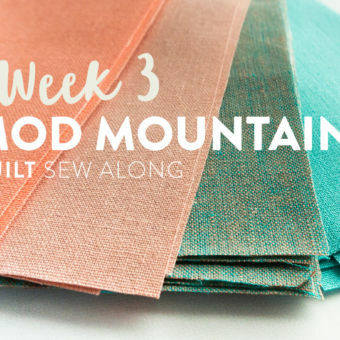 Picture yourself visiting the in-laws for a week with NO ACCESS to a sewing machine. 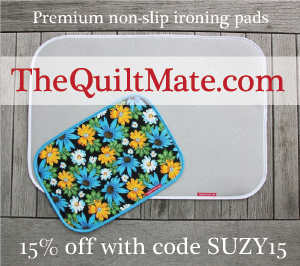 What is a quilter to do?? THIS. 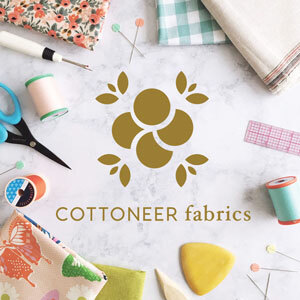 Sit by the fire/the TV/the kitchen table anywhere and stitch, stitch, stitch away with the yummiest, creamiest, most cuddliest materials around. Do you have to zigzag the edges before you throw the yardage in the washing machine to prevent the layers from separating? Would double gauze make a “flowy” top or is it too thick or stiff to drape nicely? It would, but I think Voile might be better if you want the “flowy” look! My friend requested a quilt with a soft back, and I thought this might work well! 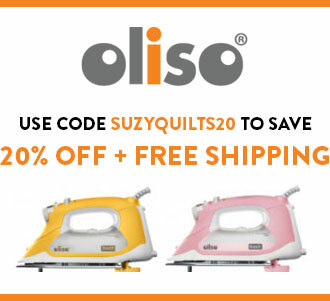 But would you recommend using both quilting cotton and double gauze – cotton for front, gauze for back? Or do you think keeping them separate is a better idea? Also, do you bind with cotton or gauze? Thank you! You can do either of those things. Binding with reg. cotton would be a bit easier because it stretches less, but a double gauze binding is a great cozy option too. Mix and match it up! Well, since it does shift and warp a lot I would just keep that in mind when picking out a quilt pattern. Cutting really small pieces of double gauze (like anything smaller than 2″) will prove to be very frustrating. Also, on-grain cutting will be much easier than cutting triangles on the bias. 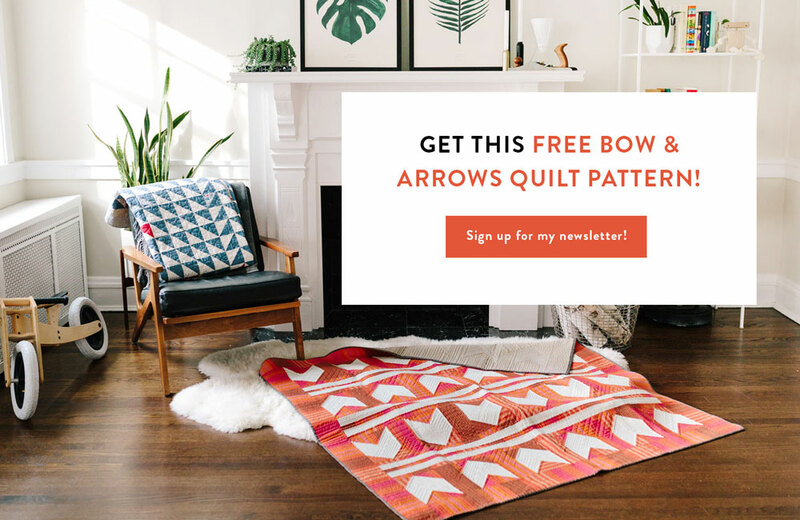 If you want to do a half square triangle pattern, check out my shortcuts – you cut squares and then sew on the bias. 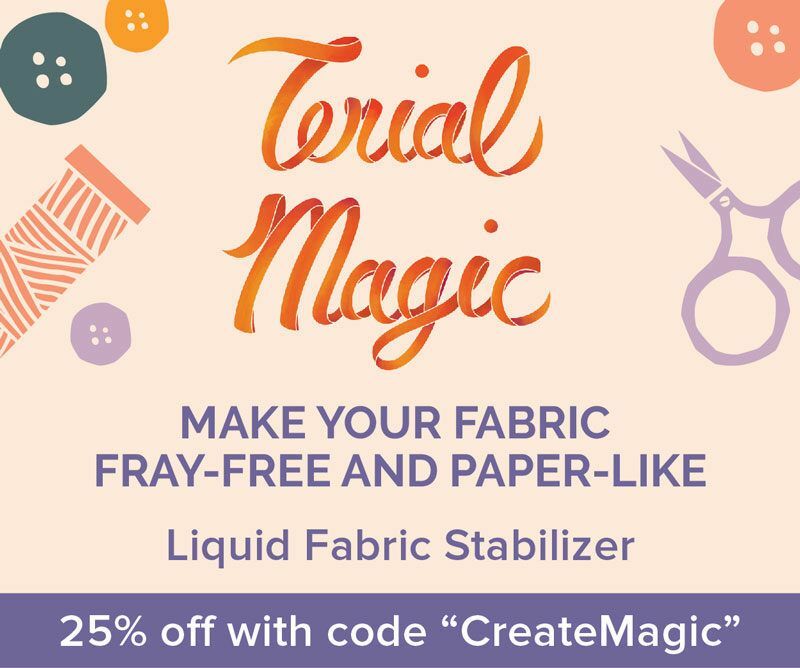 This will help keep your fabric in line. Breathe in. Breath out. 😉 I think you’ll be fine since you pre-washed your double gauze and 99% of the shrinkage has already occurred. No coffee cones will be happening. haha. Good luck! Hi! I’m wanting to make a Memorial blanket for my baby we just lost and a matching one for his living sister. I’m wanting to style it after a Little a unicorn quilts which is two layers double cotton. I’ve never bound anything. Tips? Tricks? 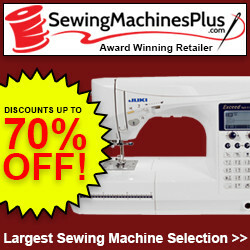 I have a serger and an embroidery/sewing machine. I’d also like to embroider their names on them. Tips for that? Thank you! So one more question. I am a total newbie sewer. Like Ive made an apron and rice packs…should I make bias tape out of the double gauze? Would that be hard? Can I use other bias tapes that aren’t the same fabric of the blanket? Would that be bad or weird? Also I want to embroider my babies names on them. Do I do that with interfacing? And I should do it before I assemble the blanket right? 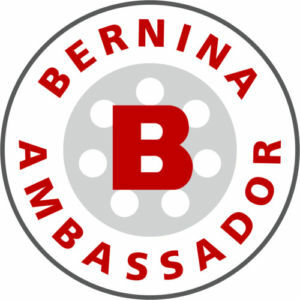 Sorry for all the questions! I only have until Aug 5 to get these done as that’s when my baby will be buried and I am not feeling like that’s enough time! 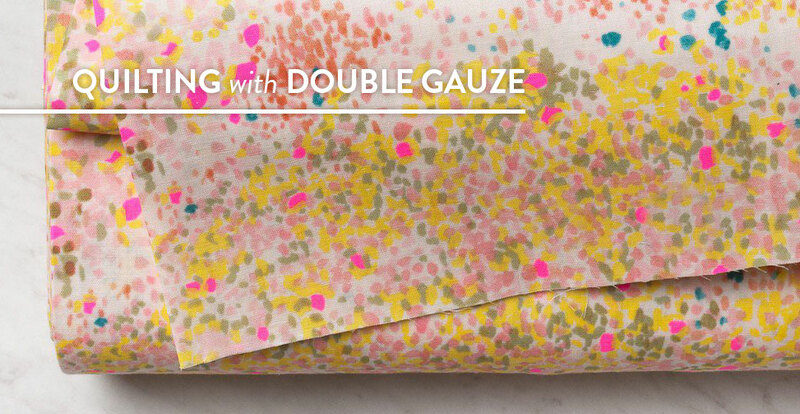 Do you recommend bating with a double gauze quilt and if so what kind? 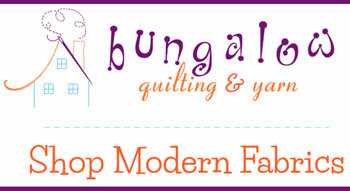 Also how do I work some applique on the quilt – any tricks or just business as usual?? Thanks! You can use any regular batting. If you wanted to make it feel like even more of a dreamy cloud, try wool batting. Wowzer. That would be mega cuddly. Appliqué on double-gauze…hmmmm… I would definitely recommend using a fusible webbing so that your appliqué pieces are very secure before stitching them down. I really like the paper-backed Pellon Wonder-Under. I have a baby quilt from just cotton fabric and was thinking of using the double gauze for the back. However I do not prewash my fabric so am concerned if I prewash the gauze the shrinking will be off. Hopefully that makes sense! 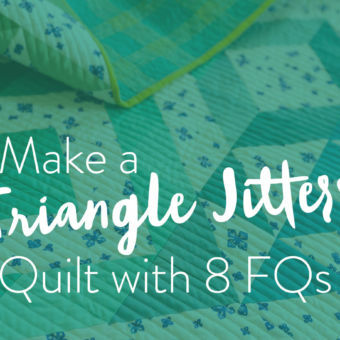 I would suggest pre-washing the double-gauze just because it can tend to shrink up a bit more than regular quilting cotton due to its loose weave. Don’t worry about uneven shrinkage. 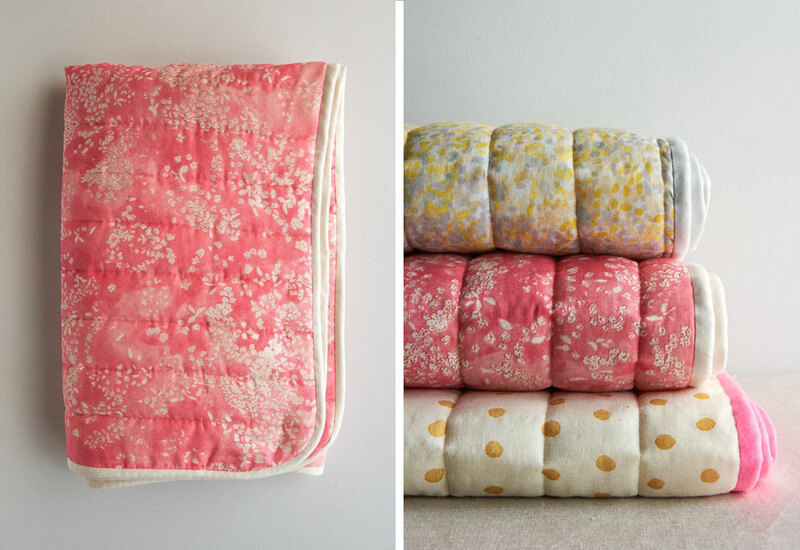 Once you quilt your three layers together and wash it, that baby quilt will be sooooo soft and yummy! No it would definitely not be too heavy. Double gauze is very soft and flowy. Hi Suzy! 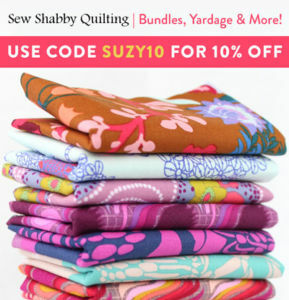 Looking for super lightweight quilt options for Florida summer bedding… double gauze has me intrigued! Does “double” mean both the top and backing? Or are you doubling it as the top? What’s the most lightweight batting option? Or can we get away with no batting at all? 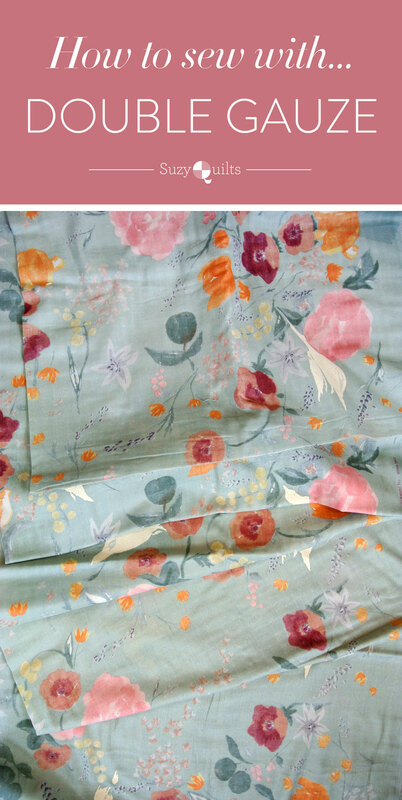 What a pretty combination of fabric! I recently did a similar combo when making this baby quilt. I personally think mixing different types of fabric gives the quilt so much more dimension and texture! Since you have prewashed most of your fabric, I recommend starching all of it before cutting and sewing. You can also use starch again when ironing your seams. One tool I like to use, especially when mixing fabrics, is a tailor’s clapper. You can see a short video on how I use it here.